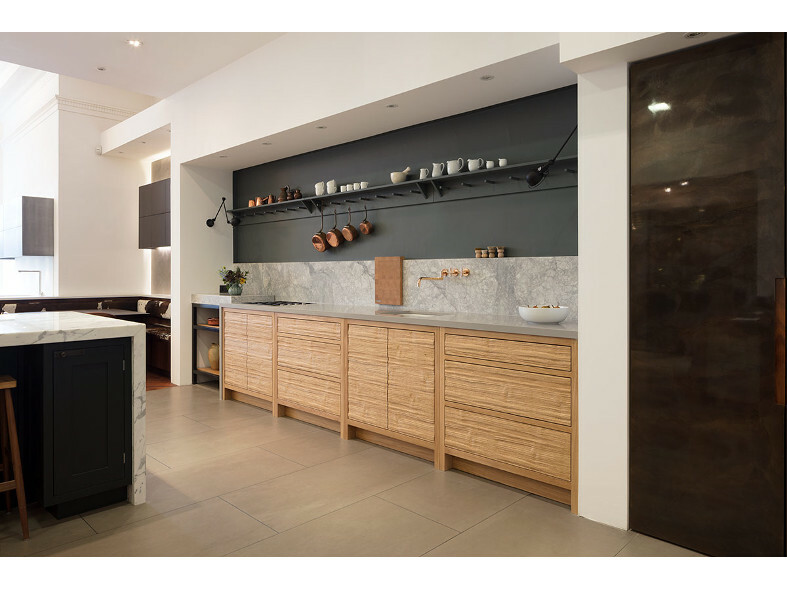 Leading bespoke kitchen specialists Roundhouse is ahead of the curve in design and materials, layering textures, metallics with natural and organic materials in high-end kitchens. River-washed ply has a highly textured surface finish and is a new addition to the Roundhouse stable of unique finishes. 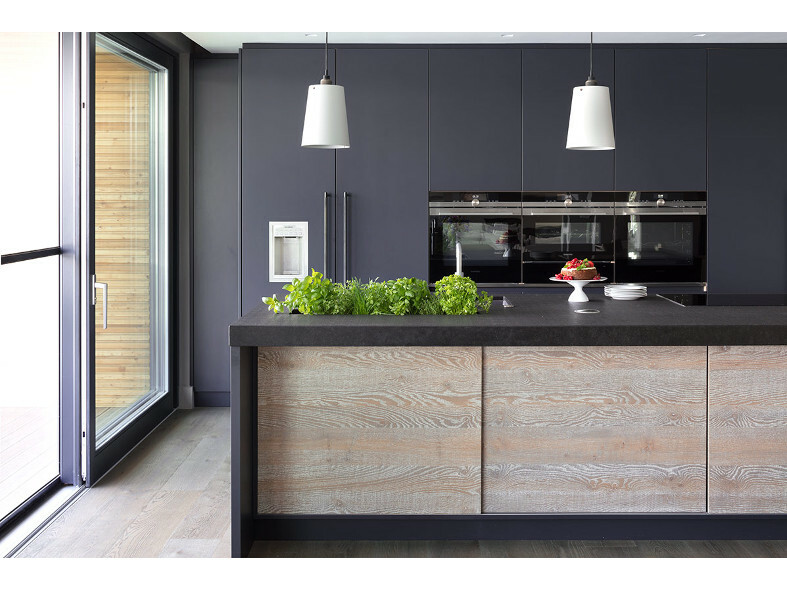 Developed by the in-house R & D team at the Roundhouse factory in Malvern, Worcestershire, River-washed ply has a very deep, riven-textured surface which works well counterbalanced with work surfaces such as polished concrete or natural stone. 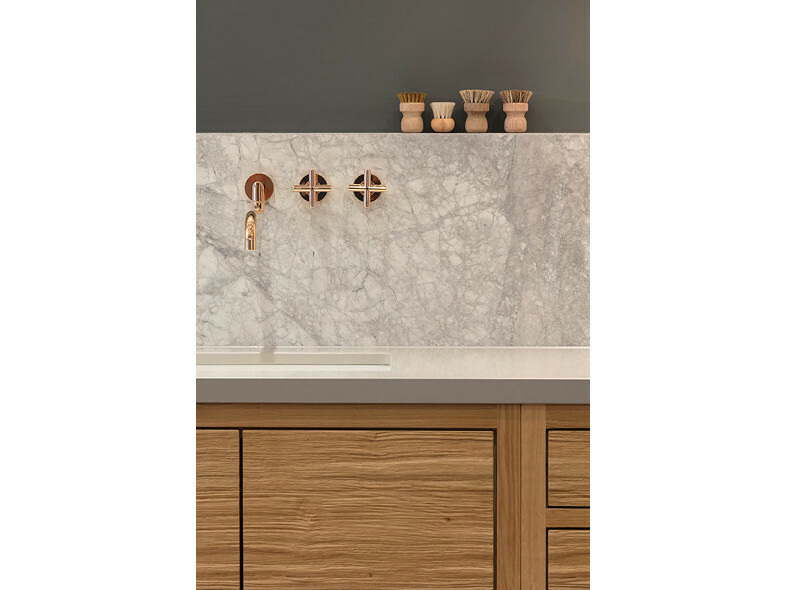 It joins a growing list of textural finishes that are unique to the bespoke kitchen company. Roundhouse has created a material that isn’t too uniform, and by mixing materials and layering textures and embracing natural/organic materials, is moving away from synthetic, materials towards beautiful natural stone and polished concrete. 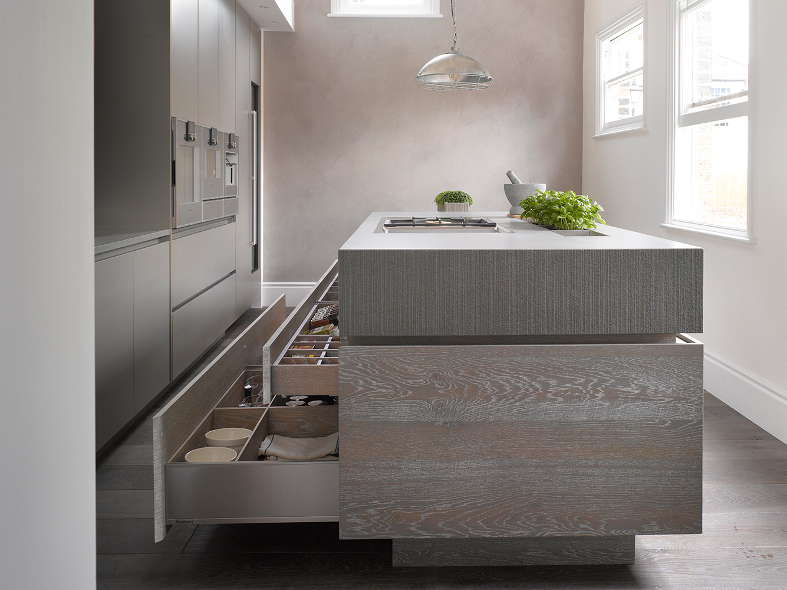 River washed ply, along with Driftwood a rough sawn, limed Oak finish provide textural interest and when contrasted with polished concrete worktops bring an architectural, structural element to the kitchen.